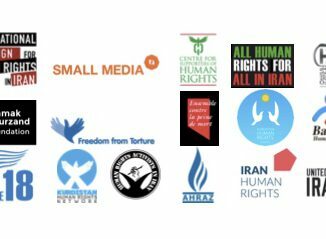 The undersigned human rights organizations are deeply concerned about these developments and call on the Iranian authorities to quash the convictions and sentences issued against Maryam Akbari-Monfared, Raheleh Rahemipour and Ahmad Montazeri; close the criminal case opened against Mansoureh Behkish; and immediately and unconditionally release Maryam Akbari-Monfared. The authorities should also ensure a safe and enabling environment in which it is possible for human rights defenders, including family members, to seek information about the mass killings, express themselves without any fear of persecution, and defend the rights to truth, justice and reparation, as a first step to ending impunity in Iran. Individuals who have been targeted in recent months for seeking truth and justice include human rights defenders Mansoureh Behkish, Maryam Akbari-Monfared and Raheleh Rahemipour, and the son of the late Ayatollah Hossein Ali Montazeri, Ahmad Montazeri. Mansoureh Behkish was informed on 29 October 2016 that she had been charged with “gathering and colluding to commit crimes against national security” and “spreading propaganda against the system”. The charges stem solely from her peaceful human rights work to seek truth and justice, including her work with the Mothers and Families of Khavaran, a group comprised of mothers and other family members of political prisoners summarily executed during the 1980s, and from holding commemorative gatherings at her home and going with other families to Khavaran, a deserted mass gravesite in the south of Tehran where Iranian authorities buried some of the thousands of political prisoners extrajudicially executed in the 1980s, including Mansoureh Behkish’s sister, four brothers and brother-in-law. Maryam Akbari-Monfared is serving a 15-year sentence in Tehran’s Evin prison on several charges, including “enmity against God” (moharebeh), after a May 2010 sentencing. Amnesty International’s research indicates that her conviction was based on the fact that she had made several phone calls to her siblings, who are members of the banned opposition group known as the People’s Mojahedin Organization of Iran (PMOI), and had once visited them near the PMOI-run Camp Ashraf in Iraq. She has consistently denied her alleged membership in the PMOI. She was never provided with a written judgement, setting out the evidence and legal reasoning relied upon to convict her. Her husband has said that during her trial session, the judge told her “she was paying for the activities of her brother and sister with the PMOI”. Her appeals were dismissed in a summary fashion with no reasons provided. Her request for judicial review is currently pending before Iran’s Supreme Court. Raheleh Rahemipour was sentenced to one year’s imprisonment in January 2017 after Branch 15 of the Revolutionary Court in Tehran convicted her of “spreading propaganda against the system” for her peaceful efforts to learn the truth about the whereabouts of her brother Hossein Rahemipour, who was summarily executed in 1984, and his baby daughter Golrou Rahemipour, who was forcibly disappeared 15 days after she was born in Evin prison. The prison authorities took the baby away, ostensibly for medical tests, but never returned her to her mother. The family was subsequently told that baby Golrou Rahemipour had died, but the authorities never provided a death certificate, information about her death, or where she had been buried. The court verdict issued against Raheleh Rahemipour cites her media interviews, her participation in peaceful gatherings while holding a sign that read “You killed my brother! What did you do to his daughter?”, and her signature on a petition in support of demands for truth and justice for those summarily executed as “evidence” of acting against national security. In May 2016, the UN Working Group on Enforced or Involuntary Disappearances sent a communication to the Iranian authorities with regard to the case of Raheleh Rahemipour’s brother and niece. The authorities had not responded by the end of February 2017. Raheleh Rahemipour remains at liberty, awaiting the outcome of her appeal. Ahmad Montazeri, the son of the late Ayatollah Hossein Ali Montazeri, was sentenced to 21 years’ imprisonment in November 2016 after the Special Court of Clergy convicted him of several charges including “spreading propaganda against the system” and “revealing plans, secrets or decisions regarding the state’s domestic or foreign policies… in a manner amounting to espionage”. The court ruled that in light of Ahmad Montazeri’s family history and lack of a criminal record, he only needs to serve six years of the sentence. Ahmad Montazeri’s conviction stems from the publication of the audio file on his father’s website, which the authorities said advanced the interests of the enemies of the Islamic Revolution, and the media interviews that he subsequently gave to media outlets based outside Iran. Ahmad Montazeri was imprisoned on 22 February 2017 to begin serving his sentence, but was granted temporary prison leave the next day. He was informed several days later that his prison sentence had been suspended. Under international law, individuals against whom there is evidence of criminal responsibility for serious international crimes, including those with command responsibility, should be prosecuted and tried before a court established by law and with all necessary procedural guarantees, in accordance with international fair trial standards. If found guilty, they should be punished with appropriate penalties, which take into account the grave nature of the crimes but which do not include the death penalty or corporal punishments.